The very name “Vatican Secret Archives” tends to trigger the Dan Brown reflex in minds given to conspiracy theories and black legends about the Catholic Church. In fact, there is nothing sinister about the title of this treasure trove of historical materials; “secret,” in this case, is Vaticanspeak for the private archives of the papacy, which were opened to qualified scholars in 1881 by Leo XIII, the founder of the modern papacy and a man unafraid of the truths that history could teach. To mark the 400th anniversary of the founding of this remarkable institution, the Vatican and the City of Rome have assembled an extraordinary exhibit of materials from the Secret Archives, Lux in Arcana (“Light in Mysterious Places”), which can be enjoyed at the Capitoline Museum in the Piazza del Campidoglio until September 9, and sampled online at www.luxinarcana.org. If good fortune brings you to La Città before September 9, reserve at least three hours to savor an assemblage of primary historical materials of a magnitude never before exhibited in one place, and unlikely to be shown again in the foreseeable future. Some of the documents — written on such various materials as parchment, vellum, paper, and birchbark (the medium for an 1887 letter from the Ojibwe Indians to the pope, “the Great Master of Prayer, he who acts in Jesus’s stead”) — bring to mind epic moments and historical turning points across ten centuries: the handwritten records of Galileo’s trial before the Inquisition; Alexander VI’s bull Inter Cetera (which might be translated, “Among Other Things”), dividing the New World between Spain and Portugal; the 1530 petition from dozens of members of England’s House of Lords, asking Pope Clement VII to annul Henry VIII’s marriage to Catherine of Aragon so that the Tudor king might marry Anne Boleyn; Gregory XIII’s calendar of 1582 with the “missing ten days” in October, an excision that rectified the inaccuracies of the earlier Julian calendar; a letter from Mary Queen of Scots to Sixtus V just before her execution; Polish king John III Sobieski’s 1683 letter to Innocent XI, reporting his victory over the Turks at the Battle of Vienna; letters from Jefferson Davis and Abraham Lincoln to Pius IX during the U.S. Civil War. More recent documents and artifacts recall the darkness of the mid-20th century: a report on the execution of Italian partisans and patriots by the German SS at the Ardeatine Caves outside Rome in 1944; a miniature Polish “Black Madonna” crafted from scraps at the Oberlangen concentration camp as a gift for Pius XII; a handwritten index of the hundreds of priests imprisoned at Dachau in what some historians refer to as “the world’s largest rectory”; and a heart-rending 1945 letter to Giovanni Battista Montini, later Pope Paul VI and then Vatican deputy secretary of state, from the representative in The Hague, forwarding a request for information on the fate of Edith and Rosa Stein from a brother-in-law in New York who had lost track of them three years earlier — just prior to their execution at Auschwitz (Edith Stein was canonized by John Paul II in 1998). Then there is the 1542 bull convoking the Roman Church’s ultimate response to the Reformation, the Council of Trent, which, over 21 years, created the form of Catholicism that is now leaving the stage — to be succeeded by the Evangelical Catholicism whose birth was accelerated by Vatican II (whose bull of convocation by John XXIII is also in Lux in Arcana). One of the more striking aspects of modern Catholicism, the rise of popular Marian piety and Marian pilgrimage shrines, is remembered through two impressive documents of entirely different character and style. And for Americans caught up in today’s battles for religious freedom, there is what some might well regard as one of the foundational documents of western democracy: the Dictatus papae of the papal reformer Gregory VII, who in 27 propositions defended the independence of the papacy and the Church in ecclesiastical matters. Gregory’s challenge to the Holy Roman Emperor, Henry IV, who sought to make the Church a cabinet department of the state by controlling the appointment and investiture of bishops, was absolutely crucial in setting the conditions for the possibility of the social pluralism of the Middle Ages, from which, in turn, grew Magna Carta and, eventually, the western theory of the limited, constitutional state. Lux in Arcana is splendidly laid out, with a vast amount of historical information compressed into brief, reader-friendly electronic commentaries in Italian and English beside each of the documents and artifacts (which are of course displayed in special cases for purposes of preservation). I would quibble with a couple of the commentaries on the documents. The Thirty Years’ War (represented by Pope Innocent X’s brief criticizing the terms of the Peace of Westphalia) is treated as an entirely religious affair, whereas the best of contemporary scholarship shows it to have been much more complicated than that and far more political than theological in its causes and passions. And the dots are just not connected between the aforementioned reforms of Gregory VII and the modern democratic project in the West. But perhaps the latter is not all that accidental, given the reluctance in 21st-century Europe to concede any role to Christianity in the formation of Europe’s commitments to civility, tolerance, social pluralism, human rights, and democracy. Yet that, in turn, underscores the importance of Lux in Arcana. If this magnificent exhibit is a powerful reminder of the corruptions that were a result of the Church’s various alliances with state power and the mistakes the Church made in its initial reactions to the rise of secular modernity and modern science, it also makes clear that there would be no “West” in the political, cultural, and social senses of the term without the Catholic Church. Try as contemporary European secularists might to eradicate Christianity from the continent’s cultural memory, that erasure cannot be done without causing severe damage — as Europe’s present demographic crisis and its parallel crisis of political culture testify. Thus I might suggest that those who refused, in the preamble to the constitutional treaty that governs today’s European Union, to concede Christianity any role in forming contemporary Europe’s democratic commitments pay a visit to Rome and have a close look at Lux in Arcana. There they will find, openly displayed, the work of the Catholic Church in preserving documents decisive for the cultural and historical memory of the West — documents that have, over time, compelled the Church to examine its own conscience and develop its own social doctrine to the point where the Catholic Church now has a richer concept of democracy than most European political theorists. And perhaps, reflecting on that, secular Europe can be brought to its own examination of conscience — and its own development of thought. The founder of the Pave the Way Foundation, a non-profit organisation dedicated to building bridges between the world's religions, speaks to Zenit news agency about his in-depth research. After six years of untiring research that has uncovered 76,000 pages of original material, plus multiple eyewitness accounts and testimonies from prominent international scholars, Gary Krupp is confident the besmirching of Pope Pius XII's reputation is coming to an end. "We're definitely winning, absolutely no question," Krupp tells Zenit news agency in an interview, during a visit to Rome this week. "Every time we do more research, we find a diamond. It's incredible, but there's nothing on the other side because there's no documented foundation for any of their accusations." Krupp, the founder of the Pave The Way Foundation, a non-profit organization dedicated to bridging the gap between world religions, is well known for being one of the most passionate defenders of Pius XII's reputation for heroism in his relations with the Jewish people. As a Jew from New York who grew up, like many others of his generation, with an indoctrinated hatred of the wartime Pope for his alleged anti-Semitism and unwillingness to help Jews during the Holocaust, his anger at realizing this was all a lie, and his willingness to reveal the truth, is both heartfelt and compelling. Some of these documents show that Pius XII favoured the creation of a Jewish state as far back as 1917. In further recent discoveries, Pave the Way has come across a letter, written by Cardinal Pacelli in 1939, in which he attempted to obtain visas for 200,000 Jews who remained in Germany after Kristallnacht. "He wasn't able to obtain the visas, but he tried," says Krupp. "The point is, he didn't do it from the safety of Washington DC or London. He did it while surrounded by hostile forces, and infiltrated by spies, and yet he still managed to save more Jews than all the other world leaders combined." Further letters reveal how, through his nephew Carlo Pacelli, Pius XII helped prevent the arrest of Roman Jews in 1943, giving an estimated 12,000 of them the chance to seek refuge in Church monasteries, convents, and the homes of Italian Catholics. "All these archival records show how he personally helped save Jewish people," says Krupp, adding emphatically in his broad New York accent: "Anti-Semites don't do that!" Other ground-breaking discoveries show how the Pope was not just a target for assassination by Hitler (Pave the Way has a copy of a letter Pius wrote to cardinals expecting to be killed and giving them instructions to form a government in exile), but that he and his secretary were also named in a German report as co-conspirators in the Valkyre assassination attempt on the Fuhrer in July 1944. Pave the Way has combed through copies of the New York Times and Palestine Post from 1939 to 1958 to find any evidence of animosity toward the Jews. "There's not one negative article. Not one," Krupp says, adding that a French friend of theirs also went through French Communist and Socialist papers from that time, and similarly came up with nothing negative. Krupp points out a "fantastic letter" from the American ambassador to Germany, reporting on 3rd March 1939 on the new Pope's election on 2nd March. The ambassador recalls in the letter meeting Cardinal Pacelli in 1937, and wanting to visit the Sistine Chapel, but he wasn't able to as the Cardinal had kept him in his office for three solid hours, talking about National Socialism and Hitler. "In the letter it says: "While his views against Hitler were well known to me, I had no idea of the extremity of his views,'" Krupp recounts. Like many, Krupp is convinced the smearing of Pius's reputation was due to an elaborate misinformation campaign by the Soviets and, in particular, the film "The Deputy," which was widely performed after the Pontiff's death. The play, which spread what's become known as the "Black Legend" of Pius XII, is still being performed today, currently in Munich and even in an American university – something that greatly irritates Krupp given the dean of the university is allowing it on grounds of "academic freedom." What makes him so unstinting in his desire to uncover the truth is his firm belief that history must be accurate. "People die with history," Krupp says, "so it's absolutely essential people realize that history is a sacred thing – you must get it right because people kill one another on perceived history." He says anti-Pius historians are "historical revisionists," and makes no apology for calling them "liars" instead of scholars. He is particularly indignant with Rome's Jewish community and those who persistently propagate the Black Legend in the face of the contrary evidence. "All of Rome's Jewish community despises Pius XII, when a few short few years ago they erected a monument in his honour because he saved all of their lives," says Krupp (the monument, erected in 1946, is no longer there). "You have air in your lungs today because he saved your lives," he says in pointed words directed at them, "and yet you despise him? This is a sin. This is a Jewish sin." Krupp frequently stresses that one of the worst character flaws a Jew can have is ingratitude, and notes that the Hebrew word for Jew is actually based on the word gratitude. He believes if any of the community were willing to look at the documents, they would change their minds. "Anyone who refuses to look at documents and the proof is a fool," he says. "This is especially obnoxious to me, as this community is alive because of his actions, very provably alive – everyone from the era said so," Krupps argues. He also says he has come to discover the enemies of Pope Pius XII tend to be "ultra-left wing Jews and Catholics" with an agenda to destroy the Pope's reputation because he "typified the conservative, traditional Church." But what about the regular accusations one hears made against Pius? Krupp bats away each of them away with ease. On why Pius didn't lay down his life as a martyr: "Why didn't General Patten do the same thing? Why didn't Roosevelt do the same thing? Don't forget the Vatican is two entities, head of the Catholic Church and also a government. It would be the worst thing one can do, especially when he could do the good that he did alive. Being dead would be no good at all." On the claim no Nazis were excommunicated: "They were -- I love this one. The German bishops said anyone who joined the 'Hitler Party,' who wore the uniform or flew the flag were excommunicated and a priest couldn't attend their funeral if any of them died." On the accusation that Pius XII helped Nazi war criminals flee to South America after the war: "No, it was exactly the opposite according to Bishop Hudal himself [Hudal was a Nazi collaborator in Rome]; just read his [Hudal's] autobiography." On the claim that Pius authorized forced baptisms of Jewish infants: "Nonsense. In fact he forbade it. There were some … You had some overzealous nuns and others who did this, but he forbade it. He forbade it because he had a great love and respect for Judaism, starting from his childhood. His closest friend was a Jewish orthodox boy, Guido Mendes." Krupp recognizes "Nostra Aetate," the Second Vatican Council declaration considered by many to have transformed Jewish-Catholic relations, as "one of the most important events in Jewish-Christian relations." It's arguable whether his invaluable efforts to clear Pius XII's name would have taken place had it not been for that document, but Krupp began working on the Pius issue after receiving a papal knighthood, seeing it would "open things up to do wonderful things between Jews and Catholics." I'm interested to know if he himself ever considered becoming a Catholic? "No, never," he says. "If someone gave me a million dollars, I wouldn't. This is the way I am supposed to be. I'm doing what I'm supposed to do as a Jew not as a Catholic." He says he has a "huge love and respect for the Church" because he "looks at the bottom line" and sees there's "no greater provider in the world for health care, education or charity." Indeed, he was delighted and honoured to be invited this year to receive an honorary doctorate and deliver the commencement address at St. Thomas Aquinas College, Orangeburg, New York. "I feel my brothers and sisters are in the Church, but I would never consider converting," he says. "I'm very proud to be Jewish, and I think this is the path God meant for me to take." The Pope has reshuffled the cards in a less conservative way with his new appointments. 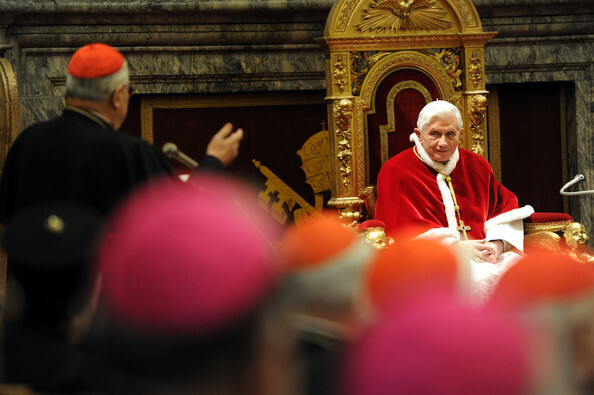 With yesterday’s nominations, including the imminent appointment of the new Prefect of the Congregation for the Doctrine of the Faith, Benedict XVI has shown he is steering the Roman Curia in a different direction. As is known, the Pope promoted the French Archbishop Jean Louis Brugues, formerly Secretary of the Congregation for Catholic Education, to the post of Archivist and Librarian of the Holy Roman Catholic Church. He then called Bishop Vincenzo Paglia from the Italian Diocese of Terni, appointing him as President of the Pontifical Council for the Family. Paglia was previously spiritual assistant of the Community of Sant’Egidio. He also moved the Secretary of the Congregation for Divine Worship and the Discipline of the Sacraments, Augustine Di Noia, to the Ecclesia Dei commission, appointing him as deputy president. Di Noia’s previous role in the dicastery will now be covered by the Englishman, Arthur Roche who up until now has been Bishop of Leeds (Britain). Finally, the Pope chose the Bishop of Kigoma (Tanzania), Protase Rugambwa as Secretary of Propaganda Fide and the Pole Krzysztof Jozef Nykiel as Regent of the Apostolic Penitentiary. It is interesting to note that whilst three Italians leaving their post (Cardinals Raffaele Farina and Ennio Antonelli and Bishop Gianfranco Girotti), only one Italian has been appointed (Paglia). It is also important to highlight that these changes do not follow along a traditionalist or conservative route. Paglia has a great deal of experience in the field of ecumenical dialogue and initiatives in favour of the poor; Brugues is considered to be open and a competent mediator in controversies over Catholic universities in recent years; Roche is a modern bishop (not a modernist), who is faithful to the Council, an expert on the liturgy – he chaired the ICEL (International commission on English in the Liturgy) for ten years – and certainly does not have a traditionalist agenda. 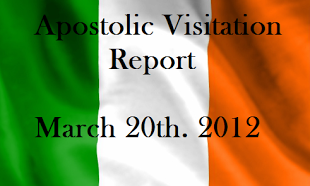 He was already a candidate for this post in 2009 and was auxiliary for Cardinal Murphy O’Connor. The batch of nominations as a whole marks a standstill for the Curia’s more conservative wing and shows a willingness on the part of the Pope to keep dialogue open on all fronts. Benedict XVI’s increased openness will be confirmed over the coming days when he will appoint the Bishop of Regensburg, Gerhard Ludwig Müller, as the new Prefect for the Congregation for the Doctrine of the Faith. Müller is a German theologian whom the Pope knows well. In recent months his candidacy was threatened by ecclesiastical circles who considered him to be too open. Yesterday’s promotions and transferrals offer no indication that the Secretary of State, Tarcisio Bertone, will be leaving his post any time soon. A change has been considered but it will not take place in the immediate future, with the Pope’s “prime minister” having become one of the main targets of the tensions caused by the Vatileaks scandal. The board includes Carl Anderson, the American head of the international charity group Knights of Columbus, Ronaldo Hermann Schmitz, formerly a top executive at Deutsche Bank, Manuel Soto Serrano of Banco Santander and Antonio Maria Marocco, a prominent Italian notary. Former Bundesbank head Hans Tietmeyer has denied Italian media reports that he was a candidate to become the next head of the bank, officially known as the Institute for Works of Religion (IOR). Gotti Tedeschi is a close friend of Finmeccanica CEO and Chairman Giuseppe Orsi, who is under investigation in the probe, and magistrates believe the former Vatican banker may have held documents relevant to the Finmeccanica case. While looking for evidence in that investigation police found a dossier compiled by Gotti Tedeschi concerning his nearly three years at the helm of the Vatican bank, according to judicial sources. His lawyer, Fabio Palazzo, said police had confiscated notes that his client believed would be useful to counter the accusations made by the board of the Vatican bank when it voted its no-confidence motion. The next hurdle the bank faces is the judgment of MONEYVAL, a Council of Europe monitoring mechanism that rates states on their effectiveness to fight money laundering and terrorism financing and comply with international standards. The report is due next month. Anderson, the board member who signed the no-confidence memorandum against Gotti Tedeschi last month, said the IOR was committed to making the white list. "We are going to continue doing everything necessary to reach that standard. There is no question the board and management are fully committed to that," he told Reuters at the time of Gotti Tedeschi's ousting. The Bishop of Leeds, who has been promoted by Pope Benedict XVI to a senior position in the Vatican, said he is "sorry to be leaving" the Diocese. The Rt Rev Arthur Roche was appointed a Secretary in the administrative arm of the Roman Catholic Church. The Catholic Church in England and Wales said he has been elevated to the title of Archbishop at the same time. Bishop Roche, 62, said it had been "an enormous privilege" to have served the people in the Diocese of Leeds. "I was very shocked. It was an enormous surprise. I wasn't expecting anything of that kind, I'm very happy being the Bishop of Leeds and I had nothing other than that beyond my sights," he said. Bishop Roche, who was born in Batley, West Yorkshire, was made Bishop of Leeds eight years ago. He said: "I am sorry to be leaving the Diocese of Leeds with its priests and people whom I have loved very much. I shall miss them enormously." Bishop Roche said he was "deeply humbled" to become Secretary of the Congregation for Divine Worship and the Discipline of the Sacraments, a key department within the Roman Curia. Archbishop of Westminster and leader of Roman Catholics in England and Wales, The Most Rev Vincent Nichols, said: "It is a great honour for England and Wales that one of our bishops has been given this responsibility in service of the Apostolic See. Bishop Arthur has our full support and prayers as he undertakes this role. We will miss him very much." The Congregation for Divine Worship and the Discipline of the Sacraments is one of nine departments that form the Roman Curia. It handles the regulation and promotion of the Church's liturgy or worship. He added that two or three more have yet to decide whether to withdraw their support from the manifesto from a reform group called "Priests' Initiative" whose demands have been echoed by some Catholic groups and clerics in Germany, Ireland, Belgium and the United States. "You can easily remain a member of the Priests' Initiative. You must only distance yourself from the 'Call to Disobedience' in an appropriate way," Church spokesman Nikolaus Haselsteiner said. "In an average company, a department head can't say he doesn't care what the CEO says," he added. The Vienna archdiocese said on Tuesday its head, Cardinal Christoph Schoenborn, had told priests last month he would not appoint manifesto supporters to the post of dean and those coming up for renewal in the post would have to choose. Schoenborn, a close ally of Benedict, has met the rebel priests, including their leader Rev Helmut Schueller. But Tuesday's announcement was the first sign he had taken steps to rein them in. Schueller says his group represents 10 percent of the Austrian clergy. The group has won broad public backing in opinion polls for its pledge to break Church rules by giving communion to Protestants and divorced Catholics who remarry. Rev Peter Meidinger, who was dean in a district of Vienna archdiocese, said he stepped down from that post after Schoenborn made his options clear in a recent conversation. "I spoke to the archbishop and perhaps you cannot say I had to choose, but I had the impression that there was no way out for me so I am stepping down and freeing up the spot," he told Reuters on Wednesday. Meidinger, who will stay on as a priest in two parishes south of Vienna, said he was a founding member of the Priests' Initiative group that called for disobedience, a word Schoenborn said was unacceptable within the Catholic clergy. "For me what is important is the Priests' Initiative and not the term 'disobedience'," the priest said. "The term civil disobedience is used when the leaders are simply not prepared to listen to people." Reformist Austrian Catholics have for decades challenged the conservative policies of Benedict and his predecessor Pope John Paul, creating protest movements and advocating changes - such as ordination of women and abolishing clerical celibacy - that the Vatican firmly rejects. 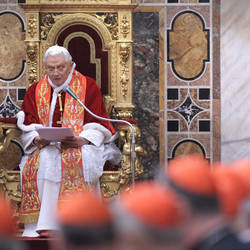 Benedict, who for decades before his 2005 election was the Vatican's chief doctrinal enforcer, responded in April by restating the church's ban on women priests and saying he would not put up with open revolt from clerics and lay people. THE UK must rebuild trust with its partners in the European Union to avoid the “travesty” of “slowly drift­ing towards the exit”, the Arch­bishops’ Council has told MPs. The response to the inquiry on the future of the European Union, launched by the House of Commons Foreign Affairs Committee on 28 March, was drafted by the Mission and Public Affairs Council. It warns that the UK lost “credibility as a negotiating partner” at the European Council meeting in December 2011, when the Prime Minister used a veto to block an EU treaty to tackle the crisis facing the eurozone. The Council argues that the measures proposed — which are now enshrined in a “fiscal compact” — were intended to achieve goals “fully in line with UK national interest”, and that an “opportunity to show solidarity with partners” was missed. This was a “natural and inevitable” consequence of decisions taken over the past two decades by successive British governments, who have failed to develop “constructive and positive” conceptions of the EU and sell them to an “increasingly skeptical” audience at home. It is in the “fundamental interests” of the UK that the problems of the eurozone are resolved, and that the compact is “folded back into existing EU Treaties” as soon as possible, the paper argues. The fact that other countries are willing to press on with integration without Britain, even outside the structures of the EU, is symptomatic of Britain’s “waning influence” in Europe, an illustration of “a single camp with one major player outside it, despite its vital interest being at stake”. The paper envisages a “messier . . . multi-speed” Europe, with variable membership, and suggests that Britain should develop “permanent areas of structured co-operation with like-minded member states” on issues such as defence and secur­ity. The EU must address a “crisis of legitimacy” by closing the gap be­tween its institutions and its citizens. The Council calls for a “revival of the vision of Europe which fired the EU’s founders and which is deeply rooted in Europe’s many cultures and, now, its many communities of faith”. A recent Eurobarometer poll of EU citizens found that, of those it polled, the proportion who said that they had a positive image of the EU fell from 52 per cent in autumn 2007 to 31 per cent in autumn 2011. A response to the consultation from the Minister for Europe, David Lidington MP, states that the Gov­ern­ment is “committed to playing a leading role in the EU, whilst ad­vanc­ing the UK’s national interests and protecting its sovereignty”. The veto used in December prevented the creation of a treaty that did not include “safeguards to protect the integrity of the single market” and was not in the UK’s interests, he says. While this response echoes that of the Archbishops’ Council in its vision of an EU with “multiple forms of membership” with the “flexibility of a network and not the rigidity of a bloc”, and its call for greater legitim­acy, it calls for a Europe that “re­spects and builds on national identities”. Governments in the eurozone are struggling to prevent the zone’s break-up. Last week, the Europe diocesan synod heard stories from churches in southern Europe about the impact of the crisis. He was angry, he said, that a system into which people had paid in good faith was melting down, while the wealthy, who had probably gained wealth by “avoiding the commitments which they should have”, were “totally untouched by what’s around them”. Commenting on the synod, David Fieldsend, who worships at Holy Trinity, Brussels, and chairs the European Christian Political Foundation, suggested that indi­viduals, as well as governments and banks, must accept responsibility for the crisis. The Church must care for the victims, and urge governments not to forget “the vulnerable and weak and the need for a safety net for them in our societies”, he said. The Bishop in Europe, Dr Geoffrey Rowell, agreed. The crisis, he said, was the source of “real moral challenges” for “all of us who have . . . not heeded some of the gospel imperatives about the conse­quences of greed, unfettered possessiveness, and the accumulation of material goods”. The Bishop of Durham has challenged a Bill giving more power to the Bank of England. The Financial Services Bill proposes abolishing the Financial Services Authority and dividing its powers between a new Financial Conduct Authority (FCA) and the Bank of England. The Rt Rev Justin Welby said the Bill would make the Governor of the Bank of England "almost unchallengeable" in the running of the three main committees overseeing financial stability, while leaving the FCA as "the runt of the litter". The amendments put forward by the Bill support locally based and easily accessible financial services. If voted through, they would require the Financial Conduct Authority to "promote an appropriate level of financial services provision in deprived communities". Lenders would be required to disclose the value of loans they make in these communities. The amendment also requires the FCA to "have regard to the needs of small enterprises, third sector organisations and consumers in deprived communities". In addition to the Bishop of Durham, the amendments have cross-party support, including from Baroness Andrews, Lord Sharkey and Baroness Kramer. A new Global Charter has been issued by academics and activists to uphold the right to freedom of thought, conscience and belief enshrined in the Universal Declaration of Human Rights. The drafting of the Global Charter of Conscience was overseen by English author and critic, Dr Os Guinness, and German sociologist, Dr Thomas Schirrmacher. They hope that the document will bring religious tolerance back to the centre of public debate and safeguard the freedom of future generations to engage in public life. The document calls for a public square that maximises freedom for all and asks people to have respect for those with differing views. In one section, it appeals to religious believers and secularists to “acknowledge the excesses and at times evils of their respective positions, and commit themselves to an equal regard for the rights of all who differ from them in their ultimate beliefs”. “In sum, the Global Charter of Conscience is a response to the crucial and unavoidable challenge of living with our deepest differences,” the charter states. The document was launched last week at the European Parliament in Brussels and is supported by the European Evangelical Alliance. Dr Heiner Bielefeldt, United Nations special rapporteur on freedom of religion or belief, commended the charter. CSAN, the social action arm of the Catholic Church in England and Wales, has come out in opposition to the Prime Minister's plans to introduce more cuts to child and housing benefits. David Cameron announced on Monday that housing benefit would no longer be available for under-25s, while child benefit payments would be limited to families with no more than three children. CSAN said it was "extremely concerned" by the proposals and their impact on families already affected by a cap on the size of their homes and an overall benefit cap. “Child benefit exists to provide for the basic needs of children; imposing limitations on the basis of family size will inevitably deprive children from larger families of essential support," it said. Currently those out of work or on a low income are entitled to housing benefit, at a capped amount. Recent changes have already tightened this weekly allowance, and this proposal goes a step further removing Housing Benefit completely for those who are under 25. Pope Benedict XVI has appointed Bishop Arthur Roche of Leeds as secretary of the Congregation for Divine Worship and Discipline of the Sacraments, raising him to the dignity of archbishop at the same time. Bishop Roche, 62, stepped down as chairman of the International Commission on English in the Liturgy earlier this year after a decade in the role. During that time he had overseen the drafting of the new English translation of the Roman Missal. As secretary he will be the Vatican’s number two on liturgy, serving under Cardinal Antonio Cañizares Llovera, who has been nicknamed “Little Ratzinger”. Pope Benedict XVI has appointed vicar general Mgr Peter Brignall as the new Bishop of Wrexham. Bishop-elect Brignall, 58, is dean of St Mary’s Cathedral, Wrexham, and vicar general of the diocese. He is also chairman of the diocese’s board of trustees, chairman of the diocesan liturgical commission and an adviser on health care chaplaincy. Bishop-elect Brignall, to be ordained as bishop on September 12, said he could do “no better” than take the Year of Faith as the starting point of his ministry as bishop. “Naturally the Holy Father will, over coming days, will continue his discussions and reflections, also taking advantage of the fact that many pastors have come to Rome for the Feast of Saints Peter and Paul,” Vatican spokesman Father Federico Lombardi told the media June 24. On the morning of Saturday, June 23, Pope Benedict met collectively with the heads of every Vatican department. In recent months the administration of the Curia has been shaken by the continued leakage of confidential papal information to the media, the so-called “Vati-leaks” scandal. He added that the meeting was “particularly important and urgent today in order to bear effective witness to the spirit of union which animates” the Roman Curia. In the afternoon, Pope Benedict held an additional meeting with five senior figures from the Sacred College of Cardinals: Cardinal George Pell of Sydney, Cardinal Marc Ouellet, prefect of the Congregation for Bishops; Cardinal Jean-Louis Tauran, president of the Pontifical Council for Inter-religious Dialogue; Cardinal Camillo Ruini, Vicar General Emeritus of the Diocese of Rome; and Cardinal Jozef Tomko, former prefect of the Congregation for the Evangelization of Peoples. On June 23 the Vatican also confirmed that American journalist Greg Burke will be the new “senior communications adviser” to the Secretariat of State. The 52-year-old from St. Louis has spent the past decade as a correspondent with Fox News, covering the Vatican, Europe and the Middle East. 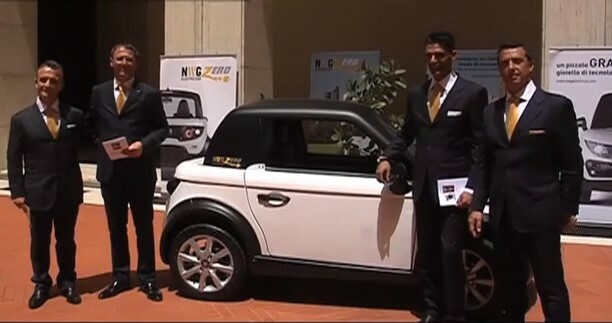 The NWG auto company has given Pope Benedict XVI a gift for his consistent concern for the environment – the Vatican’s first electric-powered vehicle. Two national Catholic groups have released a list of suggested activities to defend religious liberty and reach out charitably to those with disabilities. 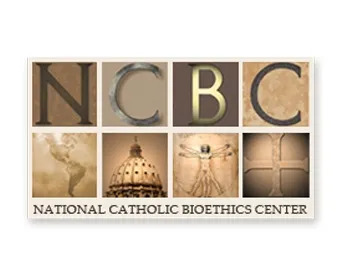 “We hope you take advantage of these resources and share them with others,” said the National Catholic Bioethics Center in a June 18 statement announcing the initiative. The bioethics center has joined with the National Catholic Partnership on Disability – a group that works to help those with disabilities participate fully in the Church and in society – to create a list of 14 actions aimed at supporting religious freedom and reaching out to the disabled. The list of daily activities is available on printable fliers and business cards online. It contains several religious activities, including fasting, attending a holy hour and praying a rosary for religious liberty. It also includes advocacy efforts, such as voicing concerns over religious liberty to one’s Congressional representatives. In addition, it incorporates outreach to disabled individuals in its religious liberty efforts. “Make a donation to support disabled veterans who have defended our liberty,” the list suggests. The list of activities is part of the currently-underway Fortnight for Freedom, a 14-day period of prayer, education and advocacy in support of religious liberty. The initiative, which runs from June 21 to July 4, was announced by the U.S. bishops’ Ad Hoc Committee for Religious Liberty in response to growing threats to religious freedom both at home and abroad. Chief among these threats is a mandate that will require employers to offer health insurance plans that cover contraception, sterilization and abortion-inducing drugs, even if doing so violates their consciences. While the mandate includes a religious exemption, it applies only to nonprofit groups that exist primarily to inculcate religious values and that employ and serve primarily members of their own faith. Therefore, most religious organizations – including schools, hospitals and charitable agencies – would not qualify for the exemption. Despite widespread protest and lawsuits filed by more than 50 plaintiffs across the country, the Obama administration has refused to broaden the exemption. The bioethics center called for the regulation to be completely rescinded but said that at the very least, “the legal obligation of government to protect religious freedom requires that there be a robust, nondiscretionary exemption” for any individual or group that objects to participating in the mandate’s requirements. The National Catholic Partnership on Disability also criticized the mandate in a statement considering the regulation’s effect on the neediest members of society, including those who are disabled. It pointed to the nearly 3 million students who are served by Catholic schools from the elementary to the college level, including nearly 60,000 students “educated in schools for persons with disabilities,” many of whom are not Catholic. In addition, it noted that tens of millions of Americans receive treatment from Catholic hospitals and care from Catholic Charities each year, regardless of their religious beliefs. “Who will serve these millions of persons if the Church is no longer allowed to exercise Her ministries?” the organization asked. The National Catholic Bioethics Center also encouraged participation in the activities being planned at the parish and diocesan levels in order to “demonstrate solidarity” with the national Fortnight for Freedom initiative. “The threat to religious freedom is real, and our voices, actions, and prayers are urgently needed,” the group explained. An international human rights group has announced the creation of a new fund to help fight the forced abortions that are often used to enforce the Chinese state’s one-child policy. China Aid, a group that monitors and aids victims of human rights violations in China, has launched a Chinese Children Defense Fund. Money from the fund will help hire lawyers to defend families facing forced abortions, as well as to pay fines to avoid such abortions and to collect more information about coerced abortions and sterilizations in the country. He pointed to the tragic recent case of Feng Jianmei, a seven-month pregnant Chinese woman who was taken to a hospital and forced to undergo an abortion because she and her husband could not afford the state-imposed fine for having a second child. Because the couple already has one daughter, the state would not grant them permission to have a second child. Reports indicate that when they were unable to pay the 40,000 yuan fine, equivalent to about $6,300, family planning officials surrounded the house and forcibly took Feng to the hospital. Feng's husband, Deng Liyuan, wrote on a prominent Chinese microblogging website that authorities had injected his wife with poison to cause the abortion against her will. Family members said that Feng – who is 23 years old – was struggling both physically and psychologically after the abortion. The case drew international attention and anger when graphic photos of Feng lying in a hospital bed next to her aborted fetus began to spread online. According to the Wall Street Journal, Chinese authorities say that have apologized to Feng and her husband. The officials involved in the incident have been suspended, they say, and an investigation is currently underway to bring about a proper legal and disciplinary response. However, critics of China’s one-child policy argue that forced abortions are common in the country, despite technically being illegal, and that authorities only apologize when caught in international media attention. “Local officials have admitted that this forced abortion was illegal, we will demand that someone is held responsible,” he added. China Aid has played a critical role in drawing attention to forced abortions and other human rights abuses under China’s brutal one-child policy. Fu recently helped draw attention to the plight of blind Chinese pro-life activist Chen Guangcheng, who spent several years in both prison and house arrest after exposing forced abortions and sterilizations that take place routinely within the country. Chen escaped from house arrest and spent several days at the U.S. Embassy in Beijing before agreeing to be transported to a local hospital to treat the injuries he sustained in escaping. After leaving the embassy, however, he became fearful for the safety of himself and his family and asked to leave the country. Fu spoke to Chen at the hospital and testified before members of Congress regarding his situation. Amid international pressure, Chen was ultimately permitted to come with his immediate family to the United States in order to rest and take classes at New York University. In addition to raising money to help save Chinese women from immediate threats, Fu believes there is an underlying need to put pressure on the Chinese state to show respect for basic human rights. 'God, "is the only Lord of our lives, in the midst of so many "masters" who want to direct and guide. For this reason it is important to have a scale of values ​​in which primacy belongs to God." The "spiritual testament" of St. Paul in the Letter to the Philippians, was the focus of Benedict XVI'a general audience before seven thousand people present in the Paul VI at the Vatican. The Apostle writes from prison, "probably in Rome and feeling close to death", but despite this, he "expresses the joy of being a disciple of Christ", to the point of "seeing death as a gain." Paul says that "joy is a feature of being a Christian," "always be happy in the Lord, again I say rejoice." "From where, or rather, from whom does St. Paul draw the serenity, strength, courage to go to meet his martyrdom, and the shedding of his blood?". The answer is Jesus, and for this reason, the Letter to the Philippians is a "Christological hymn, a hymn in which all attention is centred on the Christ's "sentiments", that is, on his thinking and his lived and concrete experience " (cf. Philip. 2 ). "Have among yourselves the same attitude of Jesus," is the exhortation of St. Paul. "It is not simply a case of following the example of Jesus, as a moral thing, but to involve all of our existence in our way of thinking and acting. Prayer should lead to an ever deeper knowledge and union of love with the Lord, to be able to think, act and love like Him, in Him and for Him. Exercising this learning the sentiments of Jesus is the path of Christian life. " The Pope also highlighted several points: the first is that "comes from his being " in the form of God," or better in the condition of God. Jesus, true God and true man, does not live his "being like God" to triumph or to impose his supremacy, he does not consider it a possession, a privilege, a precious treasure. Indeed, he "divested," emptied himself, taking on the' form of a slave," human reality marked by suffering, poverty, death". "As a servant dedicated to the service of others "
"St. Paul continues by outlining the "historical" framework in which this abasement of Jesus," who "humbled himself unto death, in complete obedience and loyalty to the will of the Father, even to the supreme sacrifice, even unto death, death on the cross: the highest degree of humiliation, because it was the punishment reserved for slaves. " In this way, "man is redeemed and the experience of Adam is overturned: Adam, created in the image and likeness of God, claimed to be like God on his own strengths, to replace God, and so lost the original dignity that had been bestowed on him. Jesus, however, was in that condition but he lowered himself, he immersed himself in the human condition, with unswerving fidelity to the Father, to redeem Adam who is in us and restore the dignity he had lost. The Fathers emphasize that He became obedient, restoring to human nature, through his humanity and obedience, what had been lost through the disobedience of Adam. " "In prayer, in relationship with God, we open our mind and heart, to the will of the Holy Spirit to enter this same dynamic of life." The human logic " Human logic, however, often seeks self-realization in power, dominion, in powerful means. Man still wants to build the tower of Babel on his own to reach the heights of God himself to be like God. The Incarnation and the Cross remind us that full realisation is found in conforming our human will to the Father, in the emptying of one's selfishness, to be filled with love, God's charity and thus truly become able to love others". The second indication is the "exhaustion", the "bending of every knee in heaven and on earth, which attracts an expression of the prophet Isaiah, which indicates that all creatures should worship God. Genuflecting before the Blessed Sacrament or kneeling in prayer expresses an attitude of adoration before God, even with the body. Hence the importance of making this gesture not out of habit and not in a hurry, but with deep awareness. When we kneel before the Lord, we confess our faith in Him, we recognize that He is the only Lord of our lives." Eygpt's newly elected President and leader of the Muslim Brotherhood Mohammed Morsi, has promised the nations' Catholic bishops he will resolve the problems of the Catholic Church and restore peace among Christians, in a meeting held this morning in Cairo. Yesterday, the president-elect received an official delegation of the Coptic Orthodox Church. According to Fr. Greiche, spokesman for the Catholic Church who attended the meeting, the statements by the new Islamist president is a good sign for the future of Christians in Egypt. He stresses that the meeting was not planned, but was called at Morsi's express desire. "He wanted to personally meet the bishops - he says - and has proved helpful and friendly to Catholics to work together to address and solve the problems of our community." 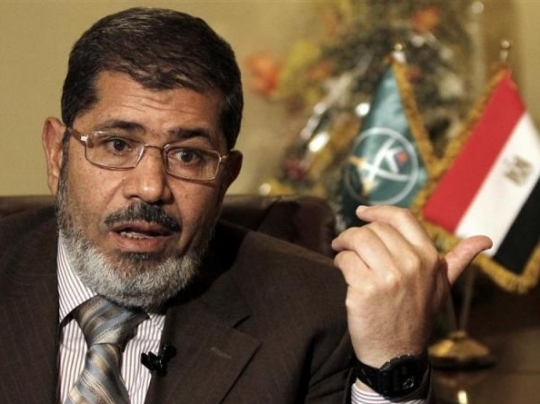 Declared president on 23 June with 52% of the votes, Morsi has repeatedly stated in his campaign that he would "become the president of all Egyptians," not just Muslims. According to analysts, this is merely a tactic to keep the support of the minority Christian population, which has always feared the Muslim Brotherhood accused by many of seeking to build a confessional state based on Islamic sharia. However, Fr. Greiche emphasizes that the statement by the president-elect may contain some truth. "Today - he explains - Morsi confirmed the possible appointment of a Coptic Christian and a woman to the vice-presidency. This would be a breakthrough for the country, but the position must have real power. Otherwise these appointments will become mere 'window dressing'. Does the Church Need More Excommunications?